VAcertified.com is the go-to resource for Virtual Assistants who want credible, unbiased and international recognition for their skills, education, professional experience and industry contributions. 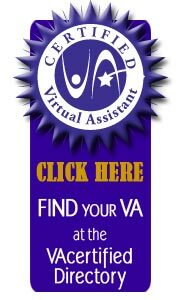 It’s a fact that no matter how much you research a potential VA, there remains much guesswork in determining if a Virtual Assistant is in fact the experienced, skilled professional he or she claims to be. Yet top notch VAs work very hard to build and promote their businesses. And that’s why we created VAcertified.com. 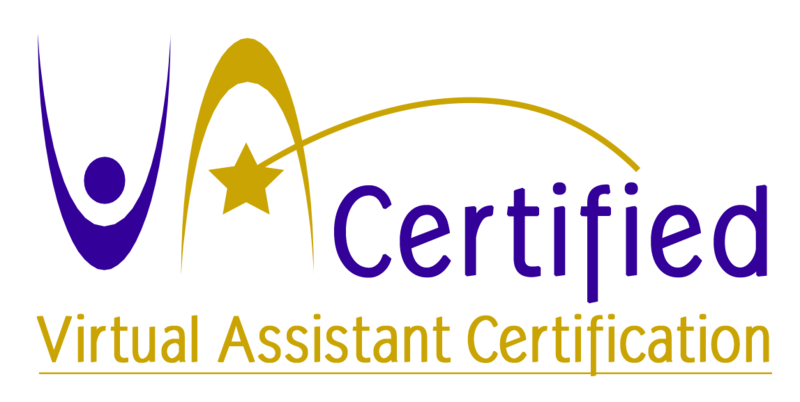 And no more will virtual assistants have to guess which certification program will give them a globally recognized and widely promotable credential. VAcertfied.com provides VAs an unparalleled opportunity to put your skills, experience and contributions in front of an unbiased global review board of virtual assistants and virtual professionals. Their products and services are relevant to how business is conducted in today’s global economy. They are committed to offering a level of professionalism in all that they do, both for their clients and the virtual assistance industry at large. They are the VA they say they are. They represent themselves, their businesses, their offerings and the VA industry with integrity, honesty and respect for others. When you have the VAcertified seal on your website and other key marketing materials, any client from any country will have reason to trust in your ability to be the RIGHT Virtual Assistant to partner with.